Here, a question posed by a reader is answered in detail. The question pertained to the order of gifts and how it impacts IHT charges. This article will be of interest to those who are studying for their CII R01, R03, R06 or AF1 exams. To answer this question we’ve had to make some assumptions. The first assumption is that the gifts are to be made at around the same time, i.e. one today and one tomorrow. If there was to be a large gap, say several years between the gifts, our answer might be different. The other assumptions are that no other previous gifts have been made and that any annual exemptions are being ignored. At first glance, it’s hard to see an obvious answer, so let’s take a look at the IHT charges that could arise at different points in time. 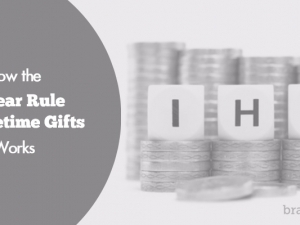 Regardless of the order of gifting, there is no immediate charge to IHT on the PET. This is because PETs only become chargeable on the death of the donor. There will, however, be an immediate charge on the discretionary trust. This is because a discretionary trust is a relevant property trust. Relevant property trusts are treated as chargeable lifetime transfers (CLTs). 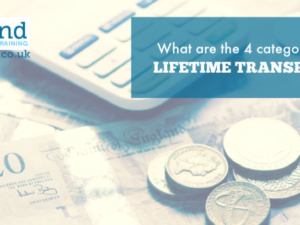 Assuming the trustees pay the tax, CLTs are subject to an immediate IHT charge at the lifetime rate of 20% on any amount that exceeds the available nil rate band (NRB). Remember that PETs are ignored when establishing the amount of NRB available for a CLT so even if the PET is made before the CLT, it will have no impact on the tax due. Similarly, the order of the gifts generally makes no difference in the tax due on death. Total IHT £170,000 plus £135,000 = £305,000. Total IHT £5,000 plus £300,000 = £305,000. In both cases these figures would be lower if death occurs between 3 and 7 years of the gifts being made as taper relief will be available. If we assume that the gifts are to be made within days of each other, the most effective order in which to gift them stems from how the 10 yearly (periodic) charge on the discretionary trust is worked out. The periodic charge is paid on the value of the trust’s assets in excess of the available NRB. When working out the available NRB it is necessary to include any chargeable transfers in the 7 years prior to the trust being set up. If the PET is made first, and the donor dies within 7 years of it being made, the PET becomes a chargeable transfer which then has to be taken into account. To see how it works let’s assume that at the 10th anniversary of the discretionary trust the value of the trust is £400,000. Let us also assume that the donor died 5 years after making the gifts and so the PET has become chargeable. Reading about how the order of gifts affects Inheritance Tax charges. £400,000 x 6% = £24,000. There is no NRB to set against the £400,000 because the failed PET of £750,000 has used it all up. £400,000 – £325,000 = £75,000 x 6% = £4,500. That’s a tax saving of £19,500 (£24,000 – £4,500). The availability of the NRB has resulted in an effective rate of tax of 1.125% (£4,500/ £400,000) instead of 6%. This lower rate of tax has longer term implications, because this is the rate at which any future exit charges will then be taxed. So, from an ongoing charges perspective, which is what we think the question is really asking, the most effective order for these particular two gifts is therefore to make the CLT first and then the PET. If you’re studying for your CII R01 exam, and you’re worried about how exam day is going to go, grab our free taster to try out one of Brand Financial Training’s resources for yourself. Click the link to download the R01 mock paper taster now! Alternatively, you can download the taster for R03, R06 or AF1 if one of those exams is causing you to bite your nails to the quick. Was the example clear and helpful? Let us know in the comments – we’d love to hear from you!